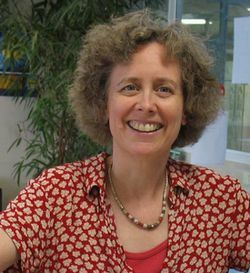 Dr. Jennifer Beer is a teacher, mediator, and anthropologist who guides organizations and communities in negotiating conflicts and cross-cultural issues. Her business is based in the Philadelphia area. 4. Coaching trainers in teaching and facilitation skills, and in training design. Dr. Beer has taught a Negotiation & Dispute Resolution course at the Wharton School, University of Pennsylvania since 2001. She also has also taught a negotiation short course at ALBA Graduate Business School in Athens, Greece since 2006. In addition to training on a wide range of conflict resolution topics, she has taught college courses and workshops in cross-cultural communication, and gives workshops, curriculum development, and coaching for trainers. A professional mediator and facilitator since 1981, Jennifer Beer's facilitations include departmental dispute mediation for universities; state-wide public meetings for preservation planning; community-industry meetings for a large chemical plant located a city neighborhood; strategic planning for well-established non-profit organizations, and mediation of community disputes for the Center for Resolutions. 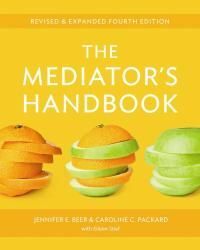 She is co-author of the The Mediator's Handbook, now in its 4th edition, and in print for 30 years. She also wrote Peacemaking in your Neighborhood, an ethnographic study of a community mediation program. Jennifer Beer has led conflict resolution and mediation trainings for various US non-profits and international NGOs including courses in Aceh Indonesia, Kyrgyzstan, Afghanistan, Germany, and Mauritius, as well as cross-cultural workshops for employees of Subaru, and for several pharmaceutical companies. She assisted in making two public radio documentaries about the atom bombings of Japan, and recently designed trainings and materials for UNHCR field managers and senior leaders. Dr. Beer earned her Anthropology Ph.D. from the University of California, Berkeley, researching Japan's overseas tourism industry in Southeast Asia for her thesis.. She also earned a Masters in International Administration from the School for International Training in Vermont. She has lived in Germany and in Japan, and speaks Japanese, and intermediate German and French. Outside of her professional work, Jenny Beer is a well known teacher of English Country Dance. Excelling at projects that requires creative thinking and design skills, she and has significant experience in training design, writing, editing, and website publication.